The first time I saw Roy Haynes perform was consequently one of the first jazz concerts I ever went to. I had just started listening to jazz when I was 14, and I saw an event in the Boston Globe for a jazz concert at Harvard. So I excitedly told my dad we had to go. The lineup included Roy Haynes, Eddie Palmieri, Benny Golson, among others. I was so taken by the energy and complete joy of these musicians. One particular moment I remember was that Roy was drumming and his stick just flew out of his hands - and he didn't even look concerned - he just picked up another stick from behind him and kept on going! Then, the next time I saw him perform was at the the 2013 Newport Jazz Festival. At one point Roy just got up from the drums and started tap dancing with a lightning bolt of energy. Now, Roy is turning 90 years young this year, so when I saw him tap dance a couple years ago I was blown away! Here was a man with enough energy to power a city nearing 90 years old - and it gave me some perspective on how aging is what you make of it. To learn more about Roy Haynes, read these pieces from Drummerworld, this AllMusic, NPR. 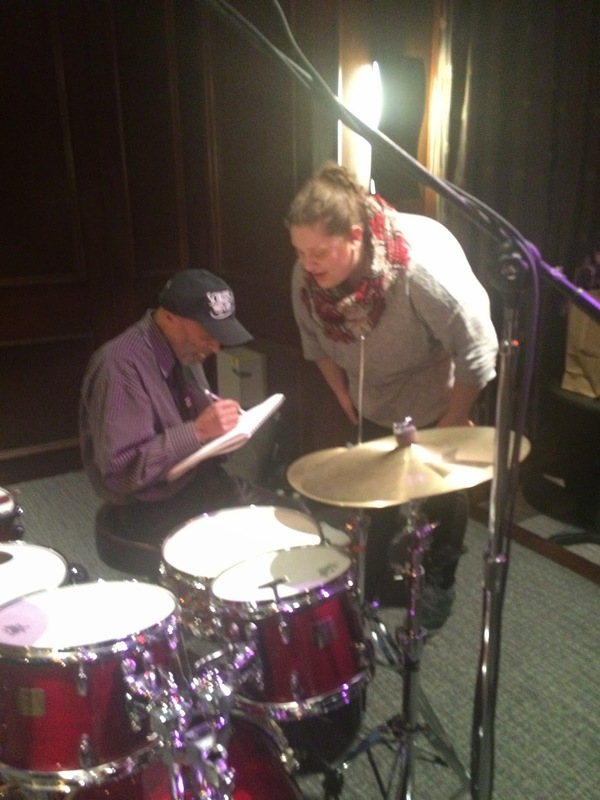 On Friday, March 6th I went to Scullers in Cambridge to once again see Roy Haynes perform. This time he performed with his "Fountain of Youth Band". This band consists of Roy on drums; Jaleel Shaw on alto saxophone; Martin Bejerano on piano; and David Wong on bass.To hear their music, listen to the Roy Haynes Fountain Of Youth Band On JazzSet. Roy started the concert by playing the Pat Metheny song, "James". "James" is an energetic, extremely catchy song that Roy would go back to between songs. If I had to describe Roy, I would call him a true comedian. Roy would get up between songs and tell stories. He told the audience that when he was twenty years old in Boston he got a telegram to come to New York City, and that changed his life. Also, several times between songs Roy would go over to his bandmates with the mic and ask them to introduce themselves. This got to be a comedic bit, since they had already introduced themselves. Roy commands audience attention by interacting with the crowd. Once he asked someone how old he was, and someone said, "89 turing 90 in a few days," and Roy just responded by saying, "Can you say that in English?". Also, people would request the song, "My Heart Belongs to Daddy", and Roy would just say, "I'm sorry to hear that". At one point an audience member said something that caused Roy to spontaneously sing, "The Gambler" by Kenny Rodgers and get the whole crowd to sing along. One standout moment of the concert was when Roy asked for requests for songs for him to sing and play. My dad requested his favorite standard, "Autumn Leaves", and was lucky enough for Roy to pick his request. It was a really great request because Roy started off by singing and vamping on the lyrics then everyone soloed for a really long time - everyone's ideas were really fresh and lively on this song. My dad was overjoyed, and everyone was shocked at how amazing this song choice was. It's always exciting to hear something so spontaneous that it wasn't even on the set list! 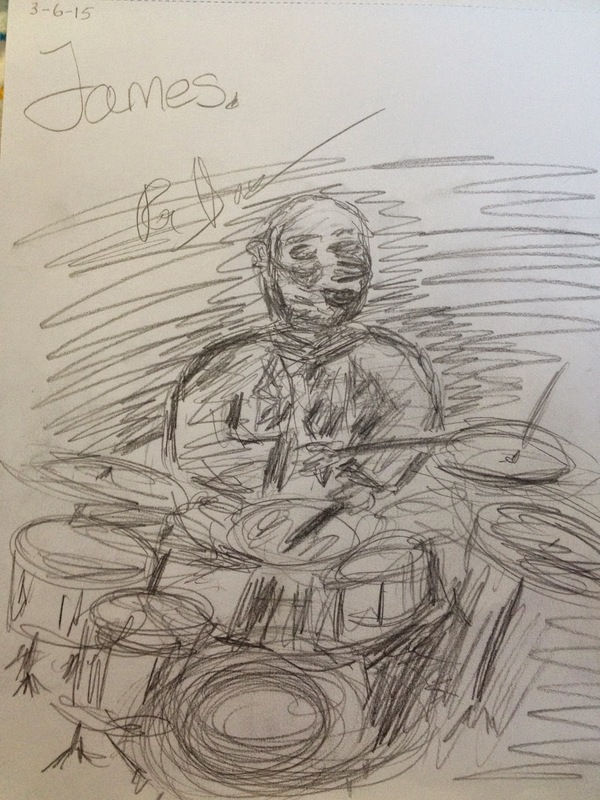 At one point, Roy did his famous solo drum improvisations. He played mostly on the hi hat with mallets for a long time, building up his rhythmic momentum. This was definitely a visual and aural spectacle. For one, Roy was going so fast, my eyes couldn't keep up with it, and the mallets became one big semicircle blur. Also, the sound was unlike any drum solo I've ever heard. It was a waterfall of sound. At one point Roy even hit his hi hat loudly and put his face next to it, yelling, "hey!". Roy also played, "Take the Coltrane". This was enjoyable because I had just recently learned this song, and hearing a master play it live gave me a real lesson. If only Roy played every song I was learning! I think what I learned most from Roy is having humor in life. This show was one of the best shows I have ever seen hands down, and I think this element of humor made it that way. Roy may be turning 90, but he exemplifies a fountain of youth with his spirit. I am so grateful that his concert when I was 14 inspired me so much to want to play jazz. And I am so grateful that he can continue to inspire me every time I have seen him since. 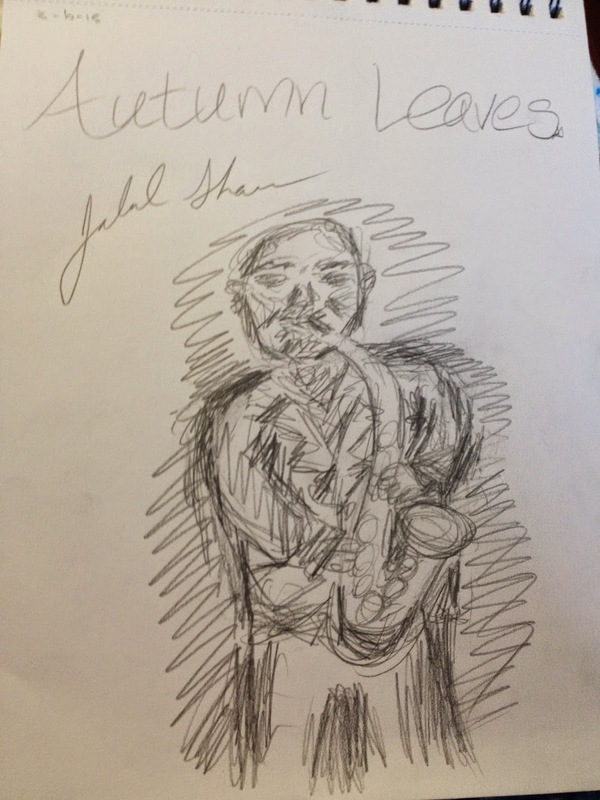 Please visit my jazz poetry blog, "Without a Poem", where I improvise a new poem every day. I also have drawings and jazz songs to listen to, so stay tuned! This show inspired my poem, "Drums", and my haiku, "Dreaming of autumn".